LIMITED AVAILABILITY, PLEASE BOOK WELL IN ADVANCE TO AVOID DISAPPOINTMENT! This program provides ‘Day-Care’ (in my home, walks, play-time, large fenced yard) plus two personalized training sessions each day, with ongoing interaction and positive reinforcement. 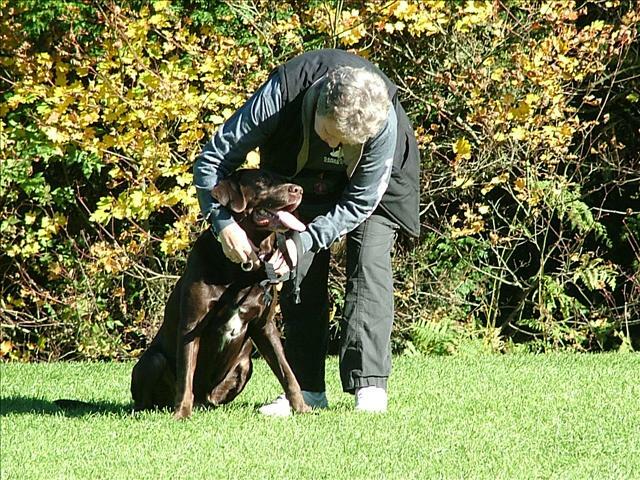 While your dog enjoys the companionship, exercise and fun of spending the day with us, we can provide basic obedience training; or customized behavioural training to meet your needs. 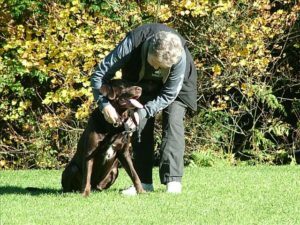 Perfect for the owner who knows their dog needs training or has some issues that need work, but just doesn’t have the time needed to commit to training. A half-hour appointment at the end of each week is required to show you what your dog has been working on and how to maintain consistency with training. A three week program is usually best; however we are happy to tailor training to your individual needs.